Keeping up with social network changes is a challenge. Especially today when there are updates almost weekly. Your social media marketing strategy often needs to change with these updates. We’re here to help. Instagram has nearly a billion users. Like most other modern social channels, Instagram is packed full of features. In this post, we’re going to dive deep into Insta’s classic features and newest additions. Since its launch, Instagram has added many features that benefit marketers – both paid ads features as well as organic posts. Let’s take a look at some of the most important Insta features for marketers. You’re probably familiar with Instagram Video posts – they’re like regular photo posts, except they allow for video up to 60 seconds long. You can add a filter, a caption and tag your location before you share the post. 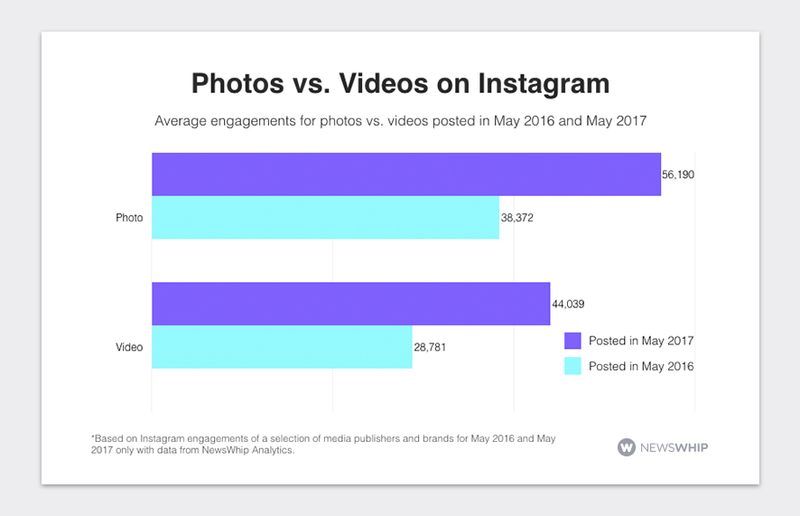 Video posts generate more user engagement than photos on Instagram. This is huge for brands who are looking to win with Instagram’s new algorithm which tracks user engagement in your posts to determine whether or not to display your content (more on this below). To learn how to post a video check out this post. This is another way for marketers to build brand transparency and authenticity – both being important with Instagram’s latest algorithm update. Check out this Instagram guide to learn how to post Live Video. One of the biggest additions to Instagram as of late is the Stories feature. Stories is similar to Snapchat in that users add clips of video to a story which is viewable for 24 hours before it vanishes. You can view Story content as many times as you want within that 24-hour period. Stories appear as little circles in the top of your followers’ feeds. Under your Instagram settings, you can adjust Story settings. You can hide your stories from certain users’ feeds and edit who can or can’t reply to you via direct message. Want to learn more about Instagram Stories? Check out our Instagram video specs for ad sizes and more. Several of the same benefits of Instagram stories are applicable to Snapchat. In fact, many of the tips we provided in our article Snapchat for Business work for Instagram. Cross-promote your Instagram on Facebook and Twitter. Users will come over to your Insta account just to see your Stories. Hold Instagram contests, special promotions through Stories with user-generated content. As a business, you might not consider receiving notifications from accounts that you follow to be a priority. But, you absolutely want your followers to add notifications from you. Once selected, you’ll receive updates every time that account posts new content. In a study from Localytics, researchers found 65% of mobile users who selected to receive push notifications for an app returned within 30 days. The study also discovered users who enabled push notification engaged three times more than those who opted out. Modern social users are getting accustomed to being able to set notifications for things they want to stay informed of: like how many steps they’ve taken that day when it’s time to walk the dog, and now – when their bestie posts a new Instagram story. Always post the most valuable content possible. Ask yourself – is this post something that my users can’t live without? Is this something they absolutely want to know? The answers should be yes. If your users enable notifications for your account you can bank on earning extra sales when you post about new product launches, deals, and promotions. There are 40 Instagram filters for you to get creative with when you’re posting new Instagram videos or photos. But, as a business, you’re going to want your content to be consistent in terms of brand image and style. If you have more than one person managing your Instagram, it can be tough to keep your look and feel consistent. Instagram allows you to manage your favorite filters by selecting the gear icon at the end of the filter list. Have someone on your design team or a senior marketer/branding manager select the filters that your company will use. Don’t go overboard analyzing this – just go with what you feel best suits your company’s identity. Using Geo-tagged content for marketing purposes can be extremely valuable, especially for brick-and-mortar businesses. However, if you’ve got Geo-tagging turned on, even photos or videos that you didn’t tag may display the exact street where you posted the photo to Instagram. You might want this if the content you post is around the location of your business (especially if you want customers to remember your business location, like a restaurant or store). On the other hand, if you’re a social media manager or agency, you may want to watch where you post and ensure those geotags are removed. You can easily do this: Select the location icon > click “Edit” in the top right corner > Select as many images or videos as you want and remove the geotags. In early 2016, Instagram rolled out a feature allowing users to switch between different accounts from within the application. This made managing multiple Instagram accounts much more efficient for marketers and businesses. This is great for agencies or brands that want to feature certain types of content on different accounts (like one for showcasing company culture and one for showcasing products). Or maybe you’re a big company with lots of brands – like, “Adidas,” and you want your shoes and your women’s workout gear on separate accounts. Social media managers don’t have to log out and into each account – they can simply switch from within the app. Note: You can only add up to five Instagram accounts. While Instagram’s native platform makes it easier for businesses to switch between accounts, you still lack a lot of management features and analytics tools. With third-party social media management tools like Sprout Social, you can monitor hashtags, manage comments and gain powerful insights into Instagram data. Here you can manage multiple accounts and all of the comments from one inbox as opposed to switching between accounts each time you need to check on what’s happened with each. As a business, you simplify your engagement and provide your social media team with a collaboration tool to get things done more efficiently. Instagram has released a ton of new updates this year alone. Let’s take a look at the most important new features for businesses and marketing experts. On June 23, 2018, Insta users noticed a green dot indicating that their contacts were active in the app. You can see the activity status from both the direct message page. If you don’t want users to see whether or not you’re active, turn off “Show Activity Status” in your Instagram settings. 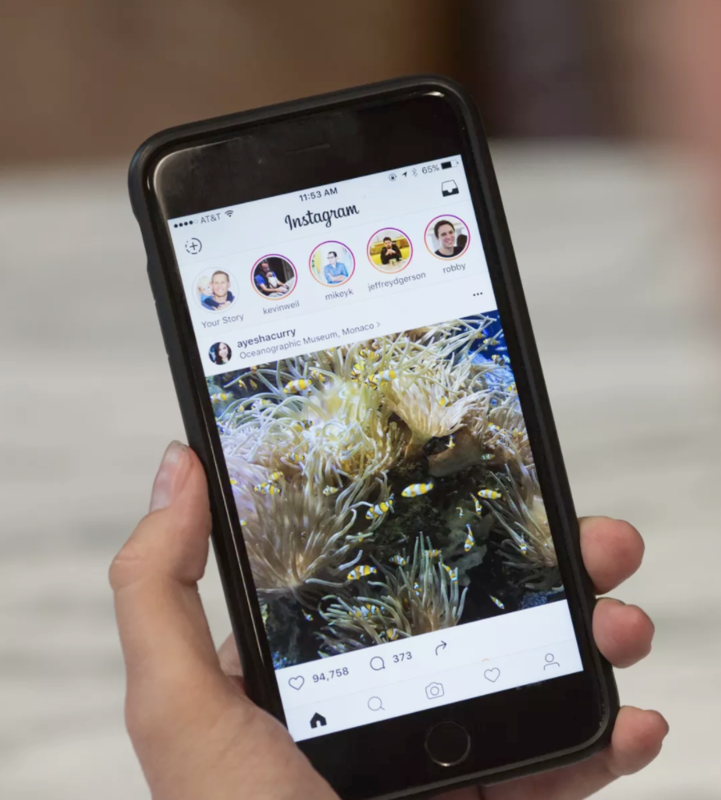 Instagram TV is an app within Instagram that gives users the ability to share videos that are up to an hour long – like a TV episode. This is big news for content creators who are into video content – one of the fastest growing trends in content marketing as over 80% of businesses are using video marketing. 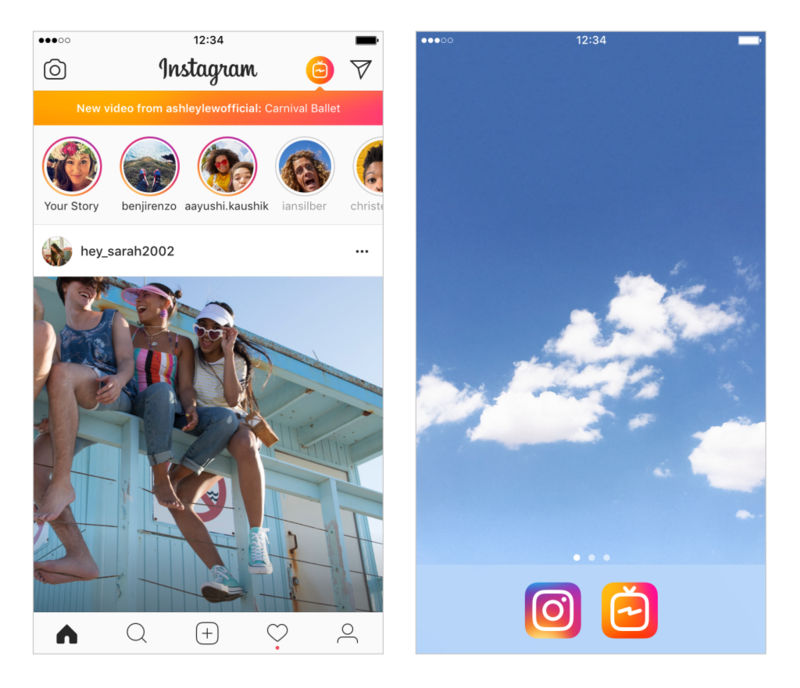 IGTV gives marketers the ability to share longer video content with the advantage of your users being notified when you share a new video is shared. This year, Instagram debuted the mute feature, which lets you mute posts from certain accounts without having to unfollow that particular user. This way, you can stay up-to-date with whatever your favorite accounts are up to – without the interruptions to your workday. This adds to Instagram’s latest efforts to give users more control over the content they see in their feed. When you type an @ or #, the username or hashtag that follows will automatically be hyperlinked. This is great news for businesses as this is just another way to get your followers to engage with other accounts you own or branded hashtags your company uses. We’ll never know the exact formula – but what Instagram has said is that they want users to see more posts from their friends and family and fewer posts from ads, etc. According to Instagram, users now see family and friend posts 90% of the time. Here’s what we know about the new algorithm. User engagement matters: If users engage with your content regularly, they’re more likely to see your posts. So what does this mean for marketers and businesses? You’re going to have to compete for attention. You’ll need to concentrate on organic growth too – and not just rely solely on ads since they’re going to be seen a lot less often. Make sure you’re always sharing the highest-quality content. Focus on engagement from users – aim to get users interacting with your posts. Increase your transparency – users are obviously favoring accounts that they’re more familiar with (like friends and family). Show users why you’re a trustworthy brand. Instagram images with mostly blue overtones generate nearly 25% more likes. 93% of consumers consider the visual appeal before purchasing. 40% of people respond better to visual content than plain text. Instagram captions with mentions generate 56% more engagement. Locations added to Instagram content drives 79% higher engagement. High-quality content is visually appealing and you should use mentions, captions, and hashtags to your advantage. Previously, you couldn’t turn an existing post into an ad unless you hit the in-app Promote button. Now businesses can turn their organic posts into ads in the Ads Manager. Check out this guide on creating Instagram/Facebook ads within the Ads Manager. Note: You’ll manage your Instagram Ads within Facebook’s Ad Manager as Facebook owns Instagram. 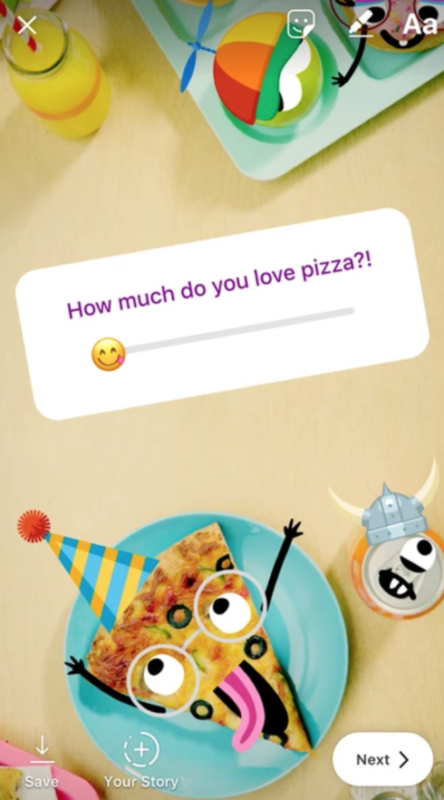 Instagram is now putting emojis to use as a way of polling how much users like or dislike something. Marketers can use this to their advantage – asking users to rate their favorite products. Just beware that they can dislike your products too! 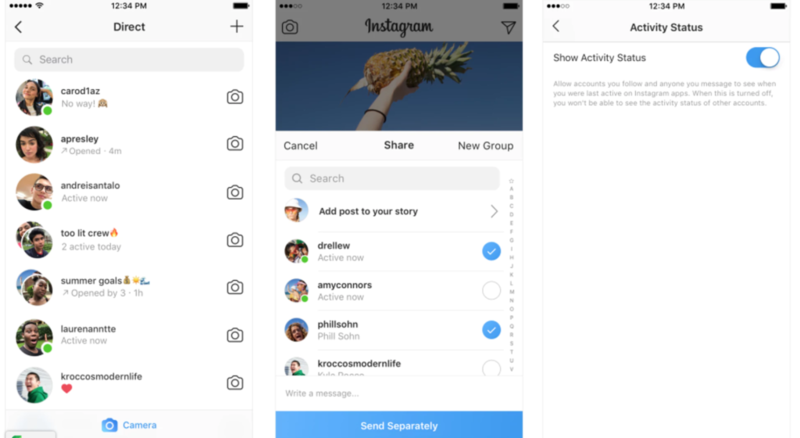 Stories is a newer feature in Instagram – like we’ve mentioned, it’s similar to Snapchat. Users love it – and as such, it evolves quickly. Just this year there have been many updates to Stories. Instagram recently added the ability for users to use @ mentions to tag other users in their stories. These @ mentions can be typed on the image, or they can be added as Stickers. Users might tag a friend’s username or the locations where they’re at. When a user tags you in their story, you get a notification via direct message and from there you’ll be able to add a user’s story to your own. This is a great way for brands to increase awareness and reach – you’re able to share your customer’s content in your own story for a more authentic and trustworthy feel. Shoppable tags allow businesses to tag their products in their photos. For example, if you feature a model running in your brand’s running shoes – you’d tag the shoes so that users can click right over to the product page and purchase the shoes. Now, businesses can tag products inside Stories as well. This is a great way to showcase your product(s) in live action or in user-generated content (like from the @ mentions we just discussed). Imagine the authenticity of sharing one of your customer’s Stories in your own story, with a tag on your product. Instagram announced recently that users can now upload photos and videos to Stories in bulk. 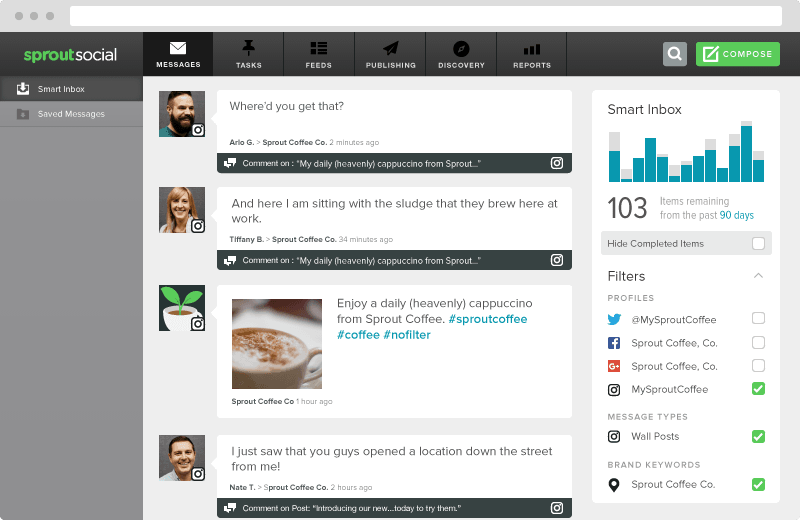 This is going to be a time-saver for businesses and social media managers. Users can select up to 10 videos or photos to upload at a time. Another recent addition to Instagram is the ability for developers to partner with brands to create filters. 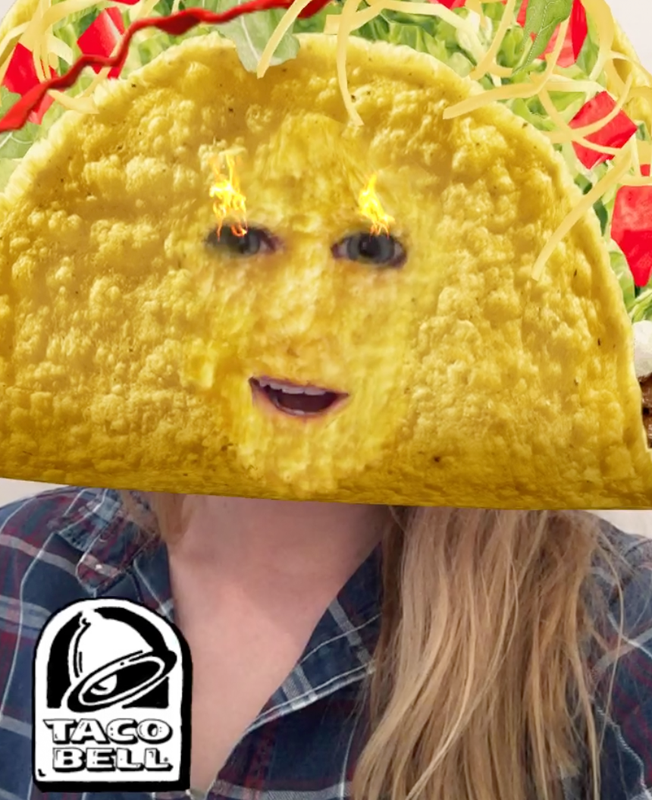 This will be much like what we’ve seen on Snapchat – and branded filters will probably be a high-ticket ad feature. Social media evolves quickly to keep up with consumer demands and competition from other platforms. Your best bet is to stay informed of these new features and updates and focus on how you can benefit from new features as a marketer or business. Make sure you’re not focused solely on Instagram Ads in the coming months – keep engagement as a top priority as the algorithm has changed to favor engagement. What are your favorite, new Instagram features? How are you using them to achieve your business goals?